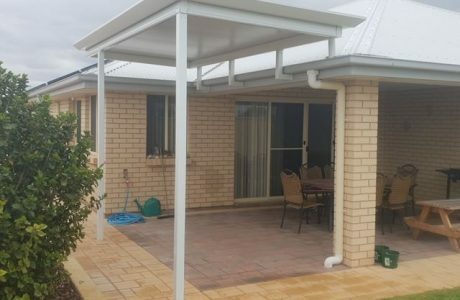 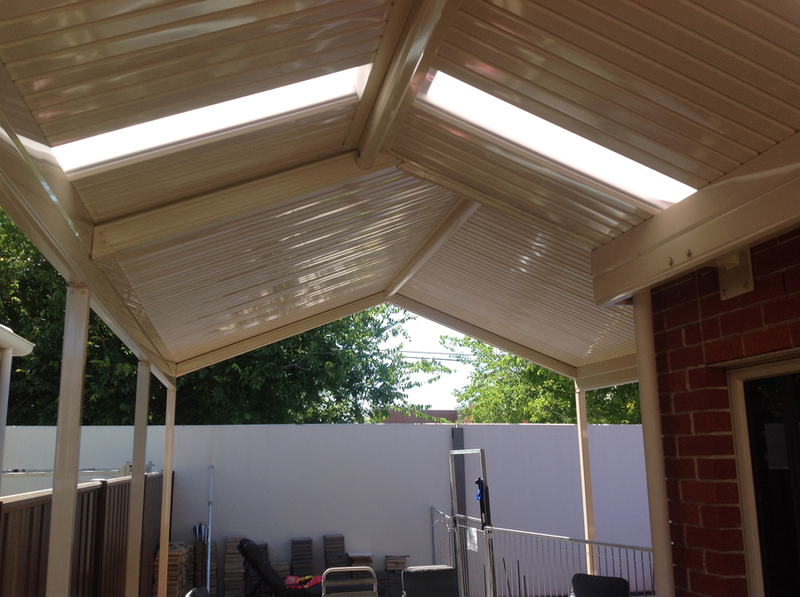 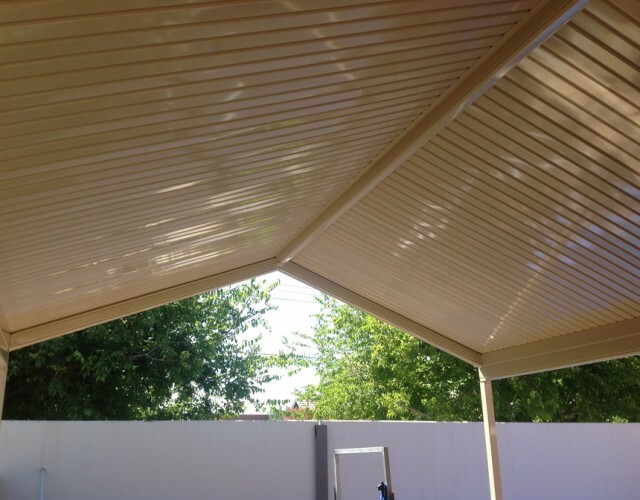 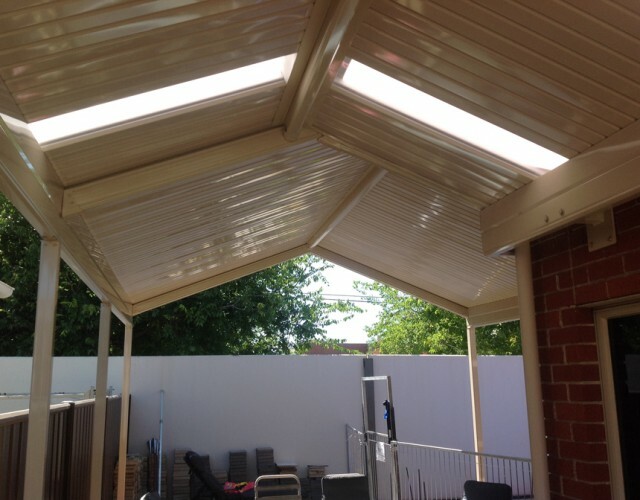 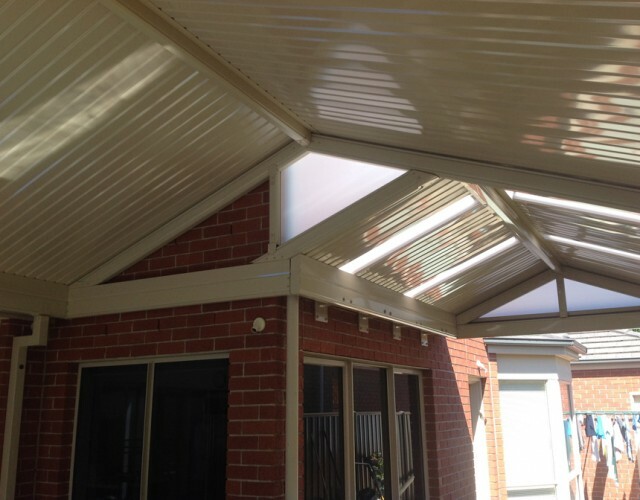 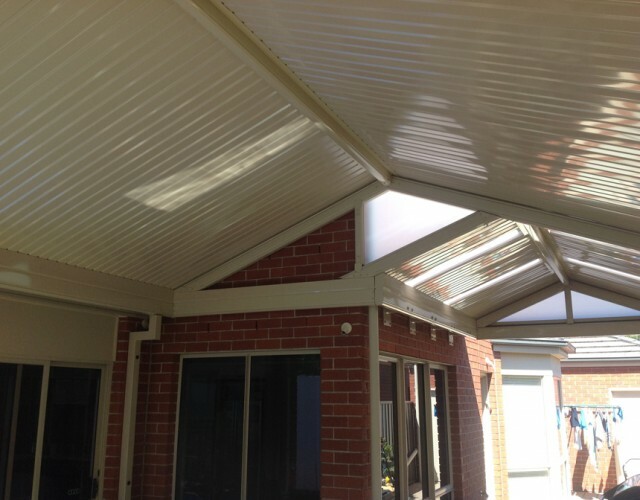 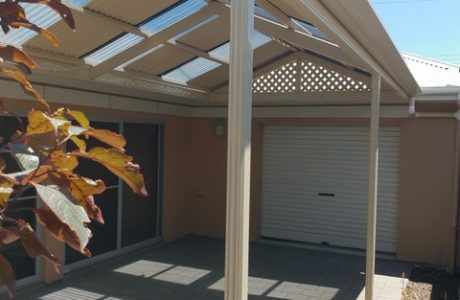 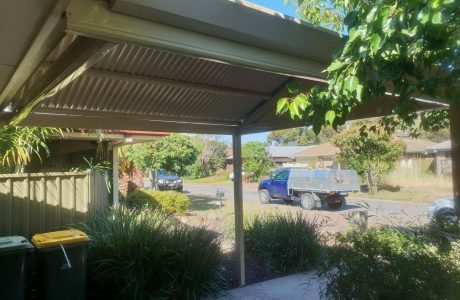 This clearspan Stratco Outback gable verandah features a shared rafter design. 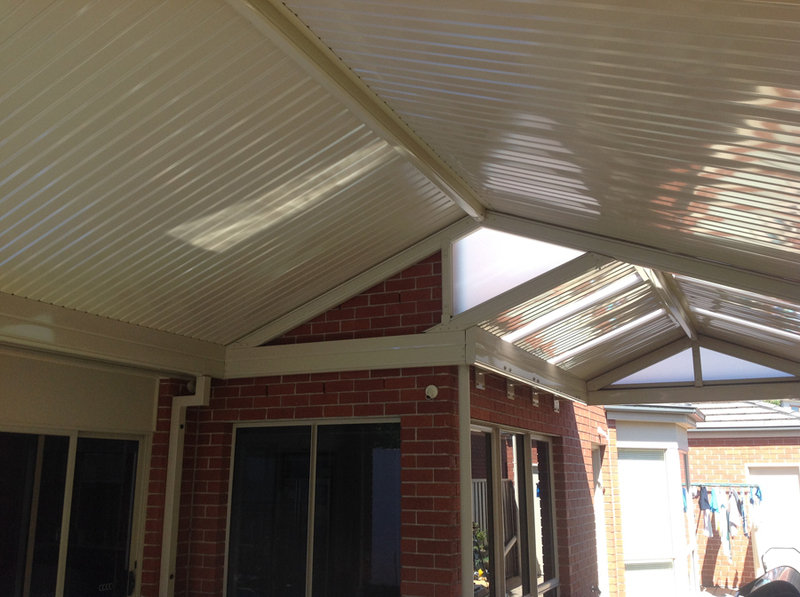 This is a great way to widen a gable verandah around a corner. It features Stratco Outback deck roofing sheeting, with twin wall polycarbonate gable end infills. 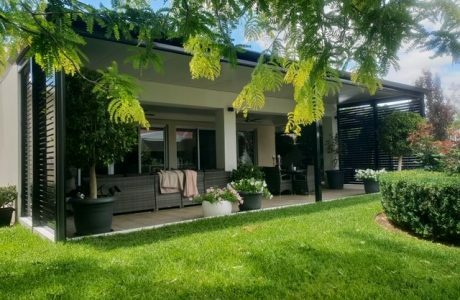 This verandah is perfect for any entertaining area.